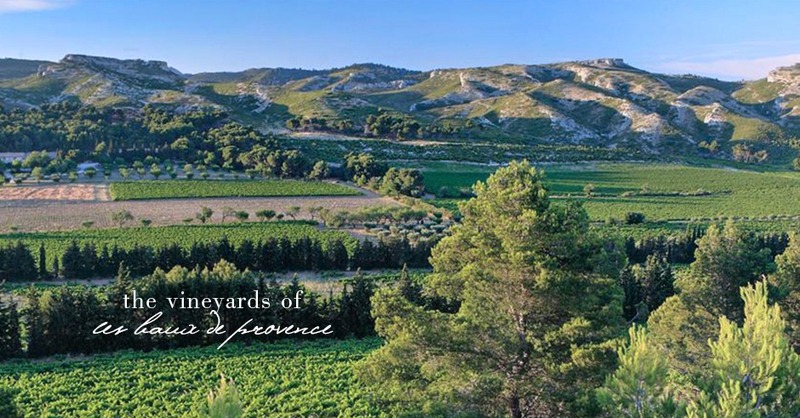 There is a spot of mystique and natural beauty that must be experienced to be understood: the Provençal wine region of Les Baux-de-Provence Appellation d’origine controlee (AOP). The Alpilles Mountains run a ridge through the north-western corner of the Bouches du Rhône department of Provence. Alpilles means little Alps, but visitors to the area are moved by the largess of the wildly rugged, authentic and mysterious setting. 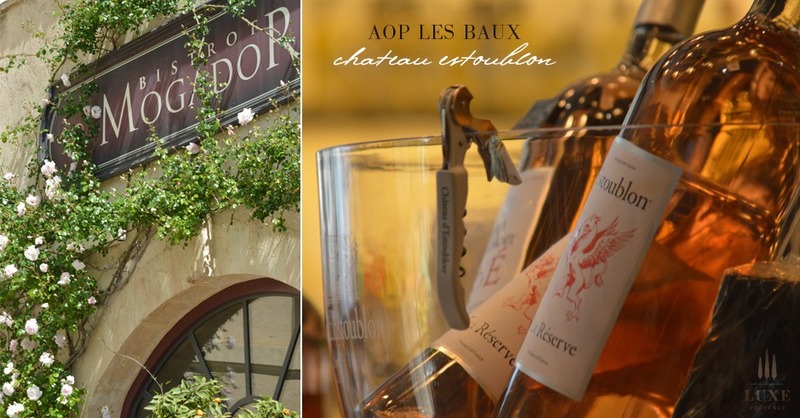 It’s here that a small group of winemakers produce red, rosé and white wines in the shadow of Les Baux-de-Provence village, a 13th century fortification that lends its name to this AOP. Vineyards can be found on either side of the Alpilles Mountains, cresting into the quite dry, fascinatingly hot oven where the grapes thrive and the Mistral wind blows. This region is unique for production of a larger percent (over 50%) of red wine, rather than the traditionally Provençal output of primarily rosé. Most estates also grow olives and mill olive oil, established under an agricultural AOP as well. While the AOP is young (celebrating 21 years this summer), the practice of making wine is ancient, often conducted as part of general family farming in recent history, but dating back to Roman times when this area of Provence was on the road from Rome to Spain. Roman and Greek ruins can still be viewed in the area. The AOP leans heavily on biodynamique and organic farming and movements are in process to include these practices as an AOP mandate. It is also a small settlement of only twelve estates; a unique opportunity to taste and purchase a full portfolio from the area. Locals and visitors can enjoy a summer exploration of each of these estates. Many of them do not export greatly, or at all, outside of Provence. Les Baux-de-Provence wines are found in local hotels, restaurants and for sale on site, with a small portion available for export. 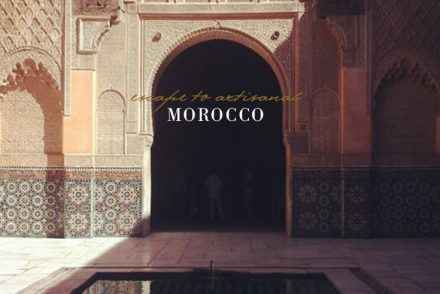 Taking time to explore and discover the region is the best and perhaps only way to experience the richness of this distinct space. Start out early on Friday morning with a visit to the Eygalières market. Here you’ll find gorgeous produce (and a scarf or dress in colors to match), plump roasted chickens, aromatic herbs, colorful baskets and lots of families out doing their shopping. Local vignerons are often at the market, increasing one’s chances of getting an inside conversation with a local winemaker. Gather picnic essentials: cheese, a couple of baguettes, a chicken and some tomatoes. These can be eaten on a sunny stone wall, or under a tree along the summit, where château ruins offer a view of the Alpilles. After lunch, pace the afternoon around time at these neighboring wine estates. 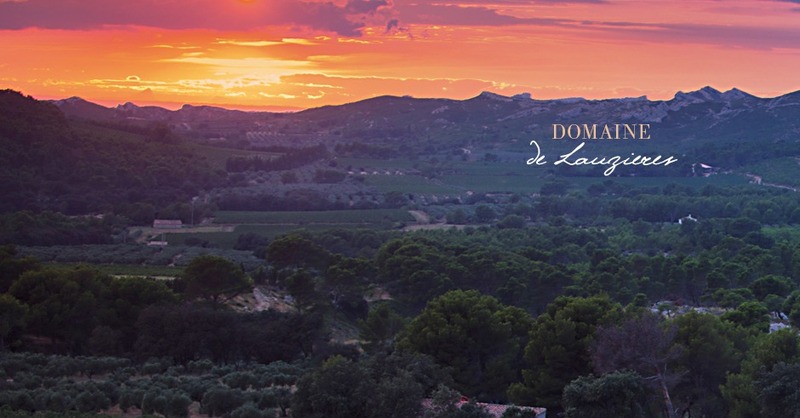 The name means Domaine of the Long Valley, signifying the estate’s location on the ancient Roman roadway connecting Rome and Spain. Enjoy a tasting of the domaine’s red, white and rosé wines as well as the AOC olive oils, for sale on premises. Taste both estate wine and olive oil in the domaine’s carnotzet, a Swiss word depicting a cellar bar or room where people gather to taste wine in a lively and welcoming setting. Purchase wines in 750ml bottles or an impressive magnum bottle for entertaining. This family-run estate welcomes visitors to their bio-dynamically farmed estate. They’ve been certified by European and American governing bodies for sustainable growing methods. Guests can taste and purchase wine and olive oil and perhaps meet one of the estate family members. Vincent Van Gogh once painted Mas de la Dame, in a work once featured at the Metropolitan Museum in New York. The likeness now appears on certain bottles of Mas de la Dame wine. Visit and taste wine and olive oil in this family-run, historic cellar. Pop into the Chateau’s boutique to purchase wine and tasty gourmet and local treats. A family friendly self-guided walking tour leads through the native habitat as well as the grape and olive growing culture. Enjoy an exquisite dinner at Bistro Mogador (weekday dinner July and August only), the on-site restaurant. After dinner, spend the evening in Saint-Rémy-de-Provence, a town rich with stone, light and history that leaps back many years to Gallo-Roman times. The layout of the town still bears the shape of a protective circle, and the remains of a 14th century wall (including distinctive portes) still welcome residents as they stroll through town. Plane (platane in French) trees line routes leading into town, many planted by Romans to distinguish travel lines. Saint-Rémy-de-Provence is inviting for luxury and appeals to ancient artistic urges. Vincent Van Gogh still lives through nearby environs which exhibit the colors, nature strokes, sky and stone that he painted until the end of his life. 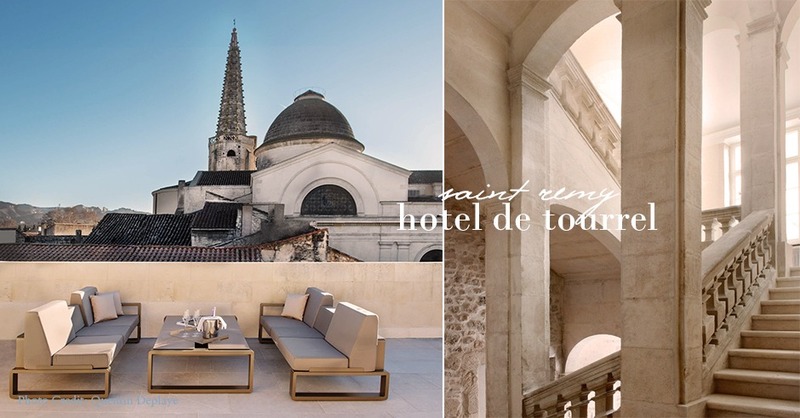 Luxury hotels in and around Saint-Rémy-de-Provence are a curated delight. 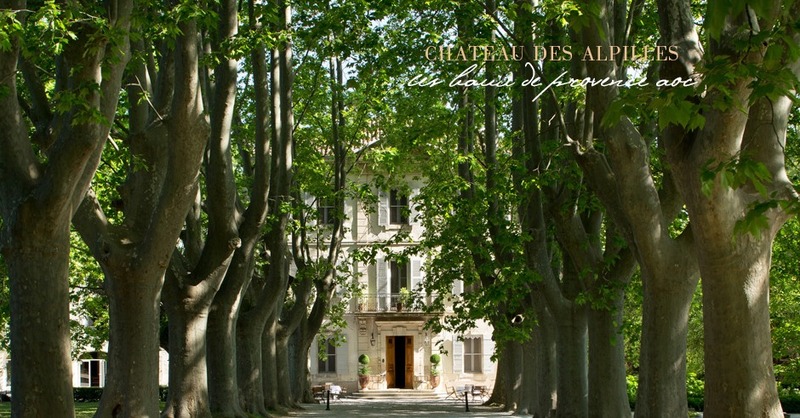 Consider booking at Hotel de Tourrel (recently featured), l’Oustau Baumanière les Baux de Provence, Domaine de Manville or our favorite, Chateau des Alpilles (below). 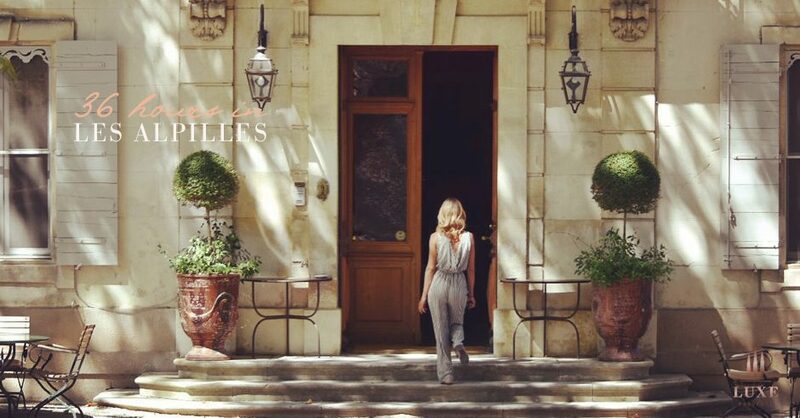 Discover quintessential “Luxe Provence” from its storybook chateau, luxury appointed rooms… to the welcoming staff (read more about my love affair with this fabulous place here) for a truly restful and pampering overnight between vineyard visits. If you cannot nab a room at the chateau, you can also opt for a lovely relaxed lunch poolside featuring fresh fish, grilled local meats and Mediterranean cuisine during the summer months. Linger over breakfast at your hotel before packing up the car to head to the village of Les Baux de-Provence. This village welcomes many visitors each year because it is absolutely unique in natural setting as well as its history as a Provençal stronghold dating back to the 10th century. 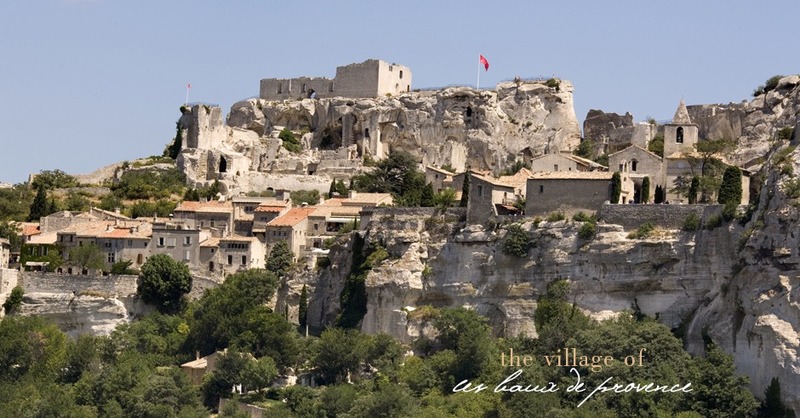 Carved and re-carved out of the bauxite hills, the village is visually stunning and presents a glorious view of the surrounding vineyards and Alpilles Mountains. A stop at the nearby Les Carriere des Lumieres is a stirring and imaginative distinction set aside exclusively for visitors to this area. Nothing else like it exists! Continue the day by tasting wine from the vineyards just observed from above. 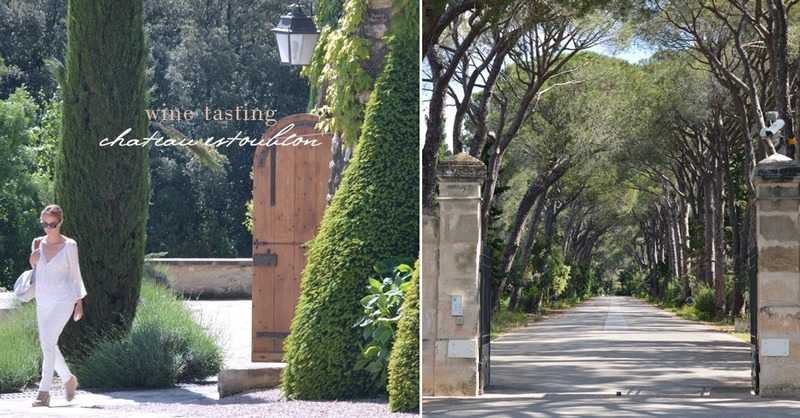 Located on the road out of Saint-Rémy-de-Provence, Domaine Guilbert is the smallest domaine in the appellation. The domaine’s mas (the southern French term for a country house, typically made of stone) and cellar is situated around lavender, cypress and olive trees; a natural expression of the region. Château Dalmeran offers cooking and wine tasting classes at their château where olive groves and vineyards grow. Take home your own bottle of Château Dalmeran Red, a cellar-worthy blend of Grenache, Syrah and Cabernet-Sauvignon aged in oak for 24 months and sold 5 years after harvest. The stony vineyards and welcoming tasting room of Mas Sainte Berthe rest at the foot of Les Baux de-Provence village. After tasting or purchasing from their set of red, white and rosé wines, Mas Sainte Berte invites visitors for a walk through the property. Get cameras ready for a unique view of the village from the vines. Domaine de Terres Blanches is located along a gravel road, which eventually leads to vines and onward to the tasting room. 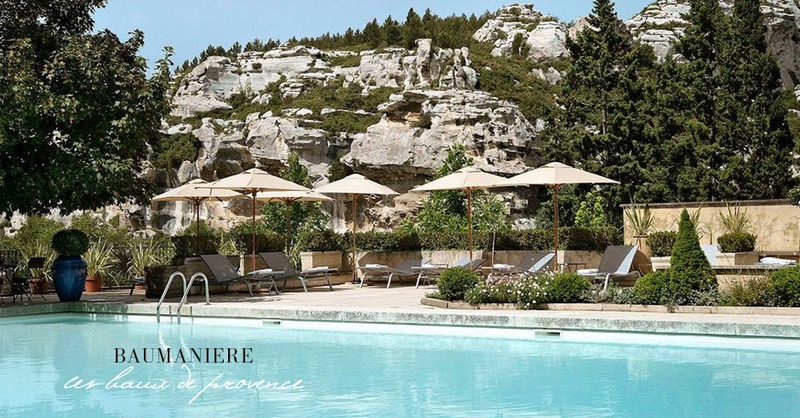 The estate offers promenades around the property, which is directly in the shadow of the Alpilles Mountains. The estate utilizes “BioActive” farming methods, thus leaving much of the surrounding natural, an excellent spot to connect with the native essence of the area. The wines here are lovely, from bright and delightful whites and rosés to fragrant reds. Recently completed, the estate’s chai is exquisitely modeled after a cathedral, carved into the native rock. The tasting room is just as beautiful, with soothing wood and metals in custom décor. Taste or buy from their lineup of wines in a luxurious setting. 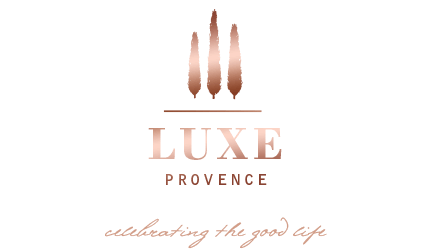 This luxury hotel dramatically set in the valley of Les Baux de Provence embodies the region’s artisanal and gastronomic traditions, which have been passed down from generation to generation for over seven decades. Founded more than 70 years ago by Raymond Thuilier, l‘Oustau de Baumanière has maintained its iconic status as an authentic Provence institution for both dining and luxury relaxation retreats in the area. 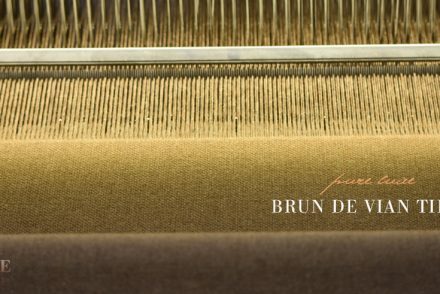 The Baumaniere integrates two local wine estates to its gastronomic restaurants and boutique, Domaine Hauvette and L’Affectif, the creation of Jean-André Charial, current founder of l’Oustau Baumanière. Jean-André’s vineyard is located at Domaine de Lauzières where he produces 8 000 bottles of L’Affectif, his own delicious biodynamic wine. This Michelin-starred chef also offers personable cooking classes on Saturday mornings throughout the season and their newly redesigned bistro serves up delightful, fresh seafood each day, combined with local ingredients from the hotel’s own organic gardens. Another estate of note, Domaine de Trevallon, is an important part of the regional winemaking story. 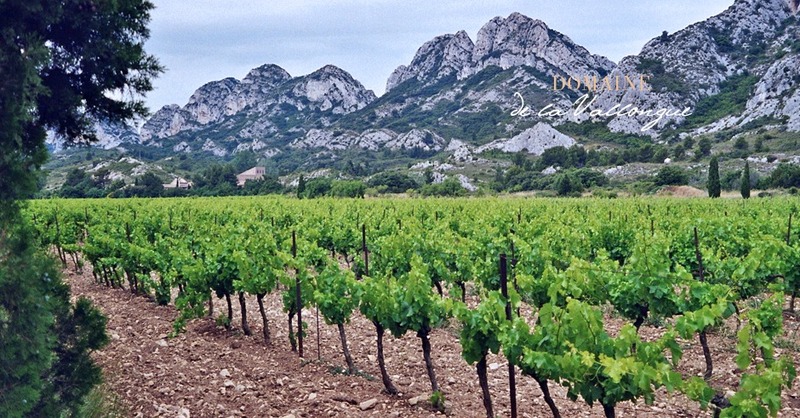 Founder Eloi Dürrbach planted his first vineyard in the Alpilles in 1973. Since then he’s been a groundbreaker for authentic, sustainable and innovative Alpilles winemaking. To preserve his estate’s ability to make wine without appellation restrictions, the estate is not a member of the AOP. Still, these wines reflect the region through landmark methods and flavors and play a significant role Alpilles winemaking. With so much lovely wine to choose from, it could be a hard decision when it comes to purchasing wine to enjoy during a Provençal summer. May we suggest a few bottles? Powder pink in color, this wine opens with “basil-scented strawberry notes” leading into citrus aromas. Balanced in profile and acidity, the winemaker suggests pairing with Mediterranean Bluefin tuna, small meat-stuffed vegetables or a strawberry, citrus fruit and herb soup. 90% Grenache Noir, 5% Counoise and 5% Mourvèdre. Pale pink and delicate, this wine offers a balanced and complex profile to accompany the flavors of meal. The winemaker recommends pairing with mixed summer salads, seafood and fruit salads. Grenache, Counoise, Syrah and Mourvèdre. Intense yet clean, crisp and “slightly effervescent” this wine can be enjoyed now or cellared for up to eight years. Pascal Leonetti, Best Sommelier in France 2006, sommelier at the Auberge de l’ill (three Michelin stars) offers the following pairing suggestions: “salad of scampi fried in olive oil, or Japanese cuisine, smoked salmon maki. 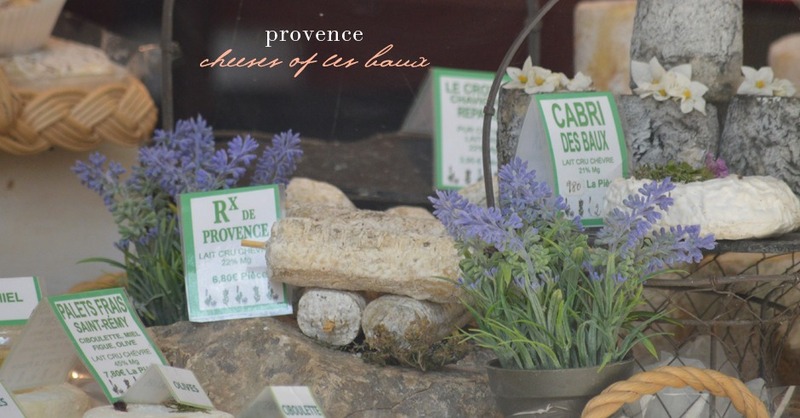 Provençal goat’s cheeses, such as matured Banon, are also a good match.” Rolle, Grenache Blanc, Clairette, Marsanne, Ugni Blanc, Roussane and Viognier. Aromatic and expressive of the region, this well-rounded wine with candy jar flavors is perfect to sip by the pool or with a meal. Pair with a plate of almonds, goat cheese and a baguette or with a summer meal of greens and a lightly seasoned roast chicken. 60% Grenache, 20% Syrah and 20% Mourvèdre. Lively and fresh, this well-balanced bottle exhibits citrus and white fruit flavors. Lovely as a pre-meal drink or with a menu of grilled fish and vegetables or salads dressed in a local olive oil. 60% Grenache, 40% Cinsault. We are very excited to introduce guest author, blogger and Provence wine expert, Jill Barth. 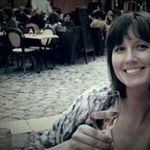 Jill is a wine writer and journalist based in the US who frequently travels to Provence. 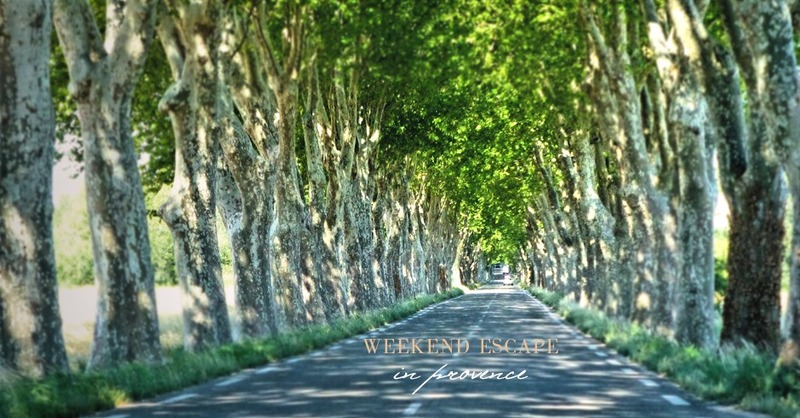 She blogs at L’occasion and is a certified Provence Wine Master. 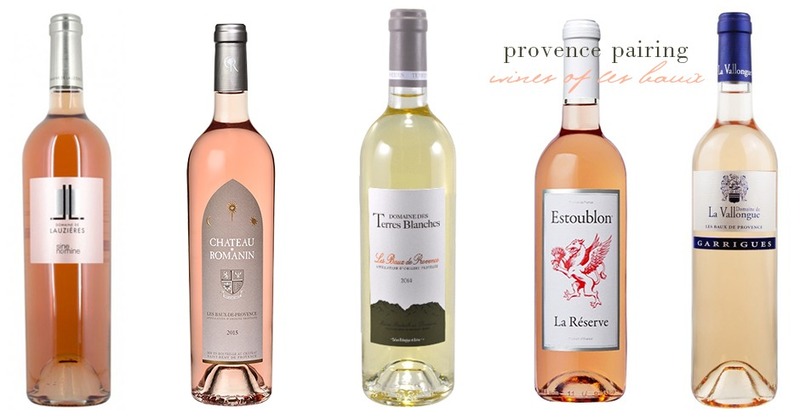 What is a “Certified Provence Wine Master”? I live in Provence and haven’t heard of that. Thanks.